Made and sold in our bakery on Hill Road in Clevedon by our skilled patisserie chef, Darrin. 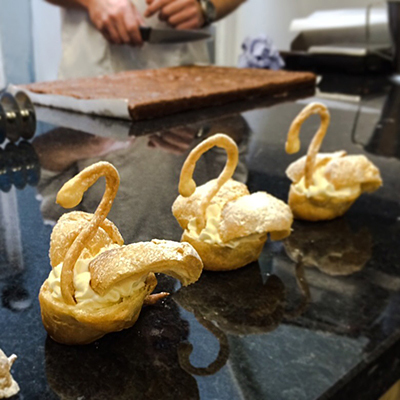 These beautiful swans are made using a delicate choux pastry and frangipane filling – great for special occasions or to impress guests at dinner parties. Pop into our shop for more details.